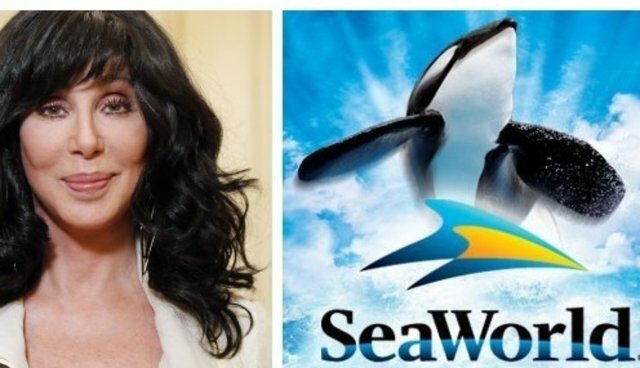 In the latest episode of SeaWorld's growing list of embarrassing PR blunders, the company made a ludicrous attack on the musician Cher on its newly created website called "Awesome Ocean." The piece criticizes Cher for her outspoken support of the documentary "Blackfish" on Twitter, and for her disgust of the marine park. There is a theorem that says that if you give a monkey (or any animal) an infinite amount of time banging away on a keyboard, eventually the monkey will produce a work of Shakespeare. Or something like that. SeaWorld is truly grasping at straws with this one -- the story notes that ‘even The Donald once called her a "lonely loser,'" a point that is entirely moot, given the context. This isn't about Donald Trump (a man whose son was happily photographed trophy hunting), this is about marine mammals in captivity. Period. The website, "Awesome Ocean," is at least partially funded by SeaWorld, as the company freely acknowledged in an email to its supporters. Undoubtedly, attacking Cher and the website in general, will prove to be just another tone-deaf PR blunder made by a desperate and flailing SeaWorld.